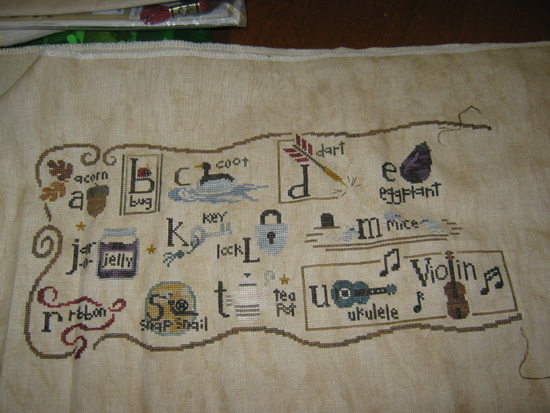 This is a sampler I am doing from Sampler Antique & Needlework Quarterly. Not sure the year but would hazard a guess it is around 2002 because it is called Rhode Island Sampler 2002. 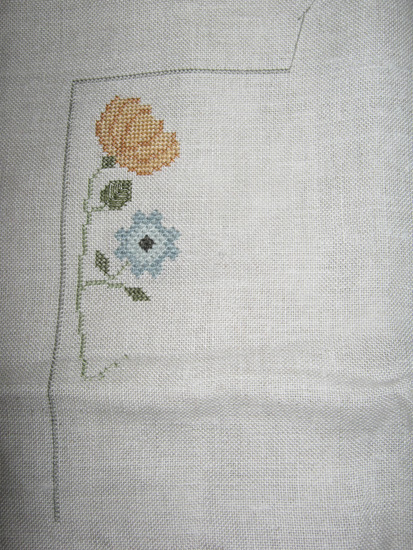 The blue flower is all Queen Stitches. I love doing Queen Stitches. I did a SAL on FB for the first week of June. I picked up my Bent Creek Snapperbet. I have almost finished booklet 3 now. Just have to do the stripes behind the Eggplant and then I get to move onto the 4th booklet. I will probably leave it until the first week of July and the SAL. Teresa Wentzler, the guru of designing. This is the first design I have ever started of hers. It was part of a SAL in 2000. I have almost finished my second square so I am not hurrying. LOL I have to credit this design for meeting a lot of my internet friends. 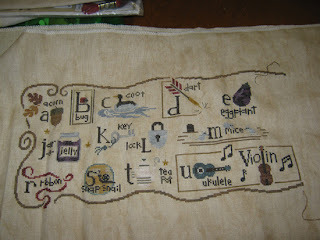 I am almost about to start a SAL by HAED designs. Now I love doing their charts. The only thing is that I can stitch them in my head much faster than I can do it in reality. Ain't that always the way!!! I stitch a lot faster in my head too!! Glad you are getting some progress on your SALs, and your TW is gorgeous!! Love the TW Janine. I will get to that someday, perhaps when I have done the fruit bellpull, which has one panel done! Like you say- no need to rush. Glad to see your stitching! You do a great job on them! I love HAED patterns too,but don't like to do it over one, so they are taking me longer to do. 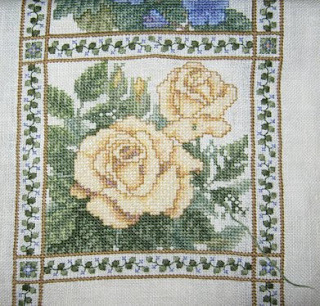 You have a lot of beautiful projects on the go :o) Thank you for visiting my Blog.